Lindeman’s and J. Walter Thompson Melbourne have searched the world to discover what makes people smile in a new campaign that features universally relatable stories of friendship and positivity. 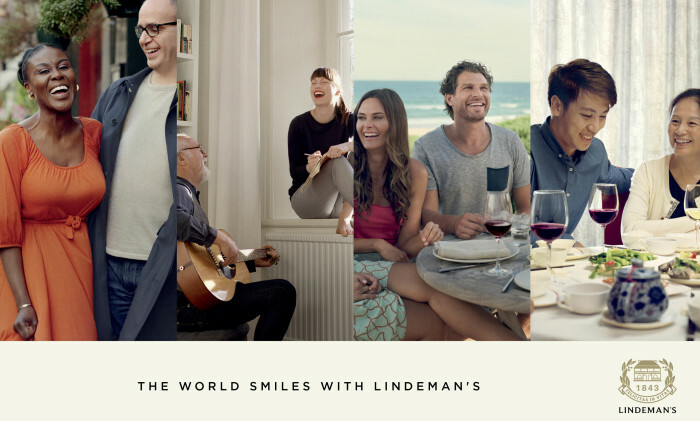 “The World Smiles with Lindeman’s” campaign was created by J. Walter Thompson’s Melbourne team and will launch globally from July 2016, across digital, still and video, TVC, in-store activation and limited edition bottles. The campaign provides a snapshot of people from all walks of life, capturing candid interactions and the moments that make them smile. While every story is individual and each location has a character of its own, the spirit of connection and positivity that unites them has no boundaries. The campaign was shot in four locations around the world – London, Stockholm, Guangzhou and Sydney – by internationally renowned photographer, Sophie Ebrard. Ebrard took a journalistic approach to subject and story, scouring each location to uncover interesting stories from ‘real people’ who enjoy Lindeman’s and capturing these in her customary visual style, both on film and through still photography. Social media is a rich source of data for driving marketing campaigns. What are the limitations of such data?..